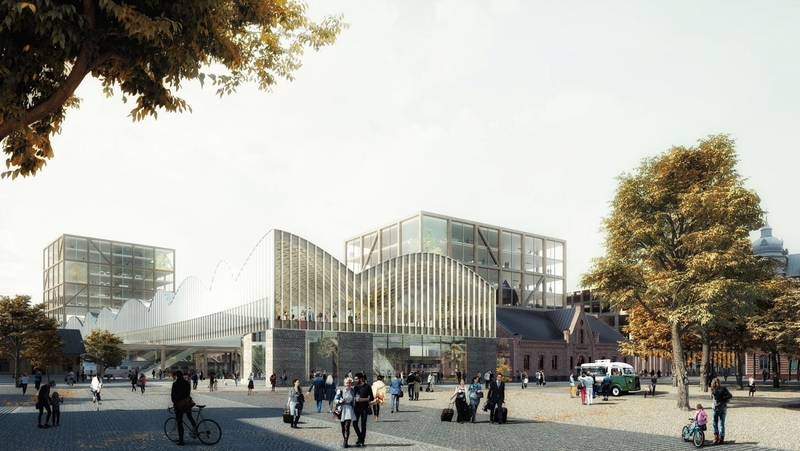 Lund Central Station will be developed into a modern meeting place and infrastructure hub in Lund and for the region. 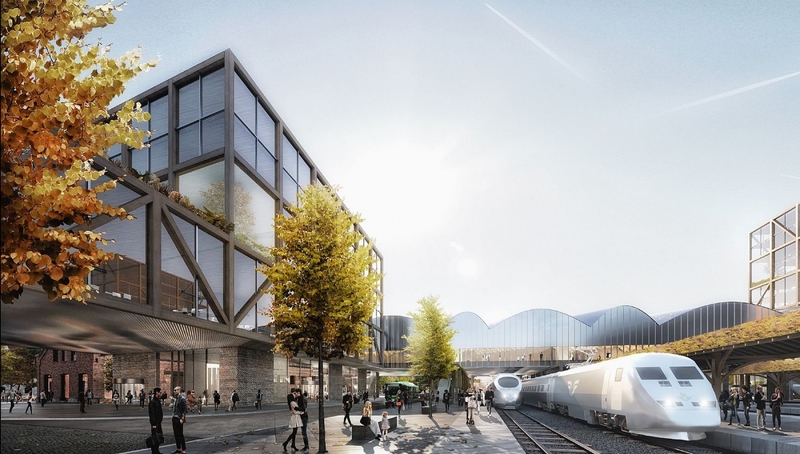 The proposal includes a new station building, new building volumes containing commercial premises, restaurants and hotels, and the renovation and relocation of the existing 19th-century customs building. 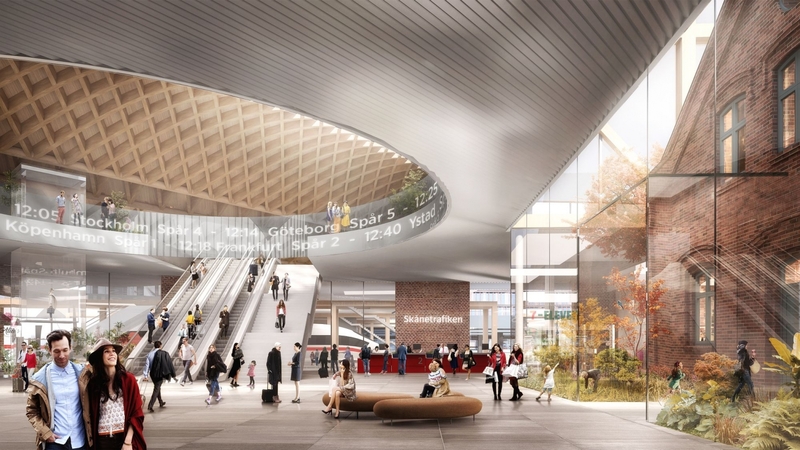 Lund’ Central Station is one of Sweden’s busiest railway stations and the new station will create opportunities for an exciting meeting place in the city. 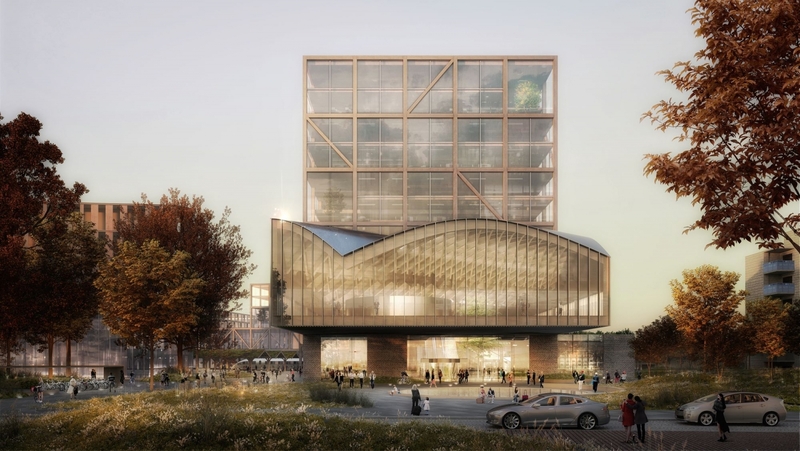 The architecture will interact with the immediate environment and add a characteristic silhouette, visible from several different parts of the city. 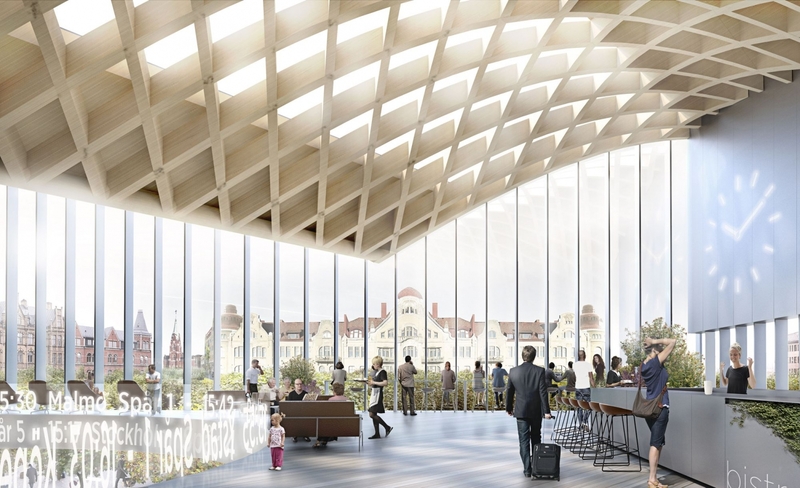 The actual station will be developed into a modern meeting place and infrastructure hub in Lund and for the region. 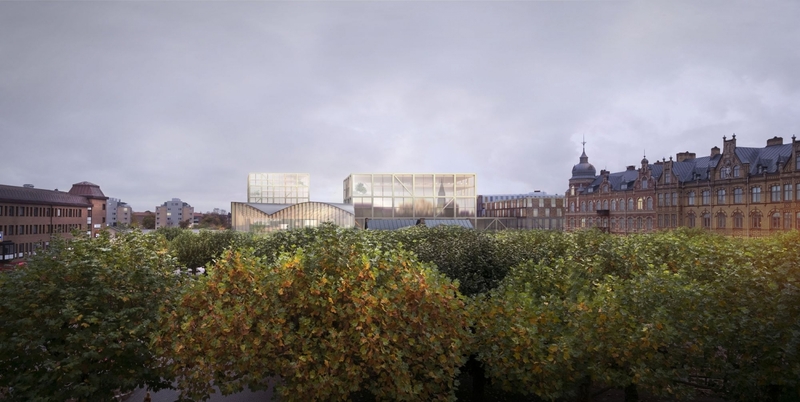 The proposal includes a new station building, new building volumes containing commercial premises, and the renovation and relocation of the existing 19th-century customs building. The new station building is designed as a modern meeting place inspired by the Lund building tradition and international station buildings. 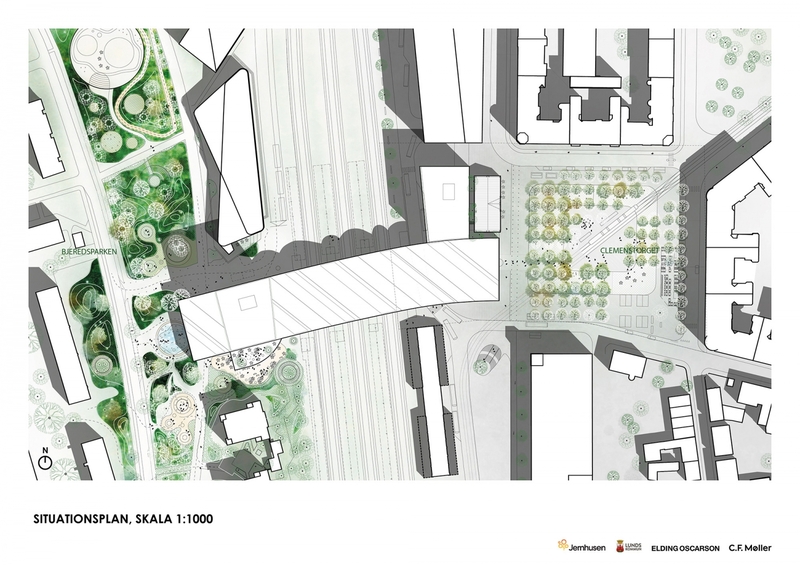 An interconnecting roof and a wide bridge across the tracks will link up the eastern and western parts of Lund. The bridge’s generous dimensions allow for commercial programmes above the tracks and create a new space for everyday activities with views of the track area and the city of Lund.